Wrap your feet in the utmost sumptuous style this season with the Cobb Hill Alexandra bootie. Premium leather upper with ruched and strap detailing for added appeal. Soft textile lining ensures an abrasion-free environment for all-day wear. EVA foam footbed massages the foot with each and every step. 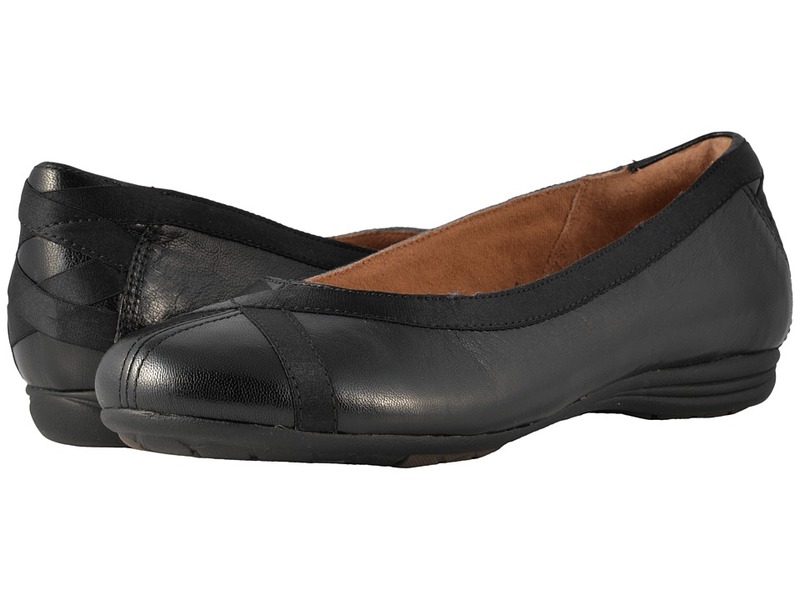 Stacked heel with TR rubber outsole that delivers long-lasting durability. Imported. Measurements: Heel Height: 1 1 2 in Weight: 14 oz Circumference: 12 in Shaft: 6 in Platform Height: 1 4 in Product measurements were taken using size 8.5, width B - Medium. Please note that measurements may vary by size. Weight of footwear is based on a single item, not a pair. Revolutionize your wardrobe with the ultimate in stylish comfort with the sophisticated Cobb Hill RevChi. 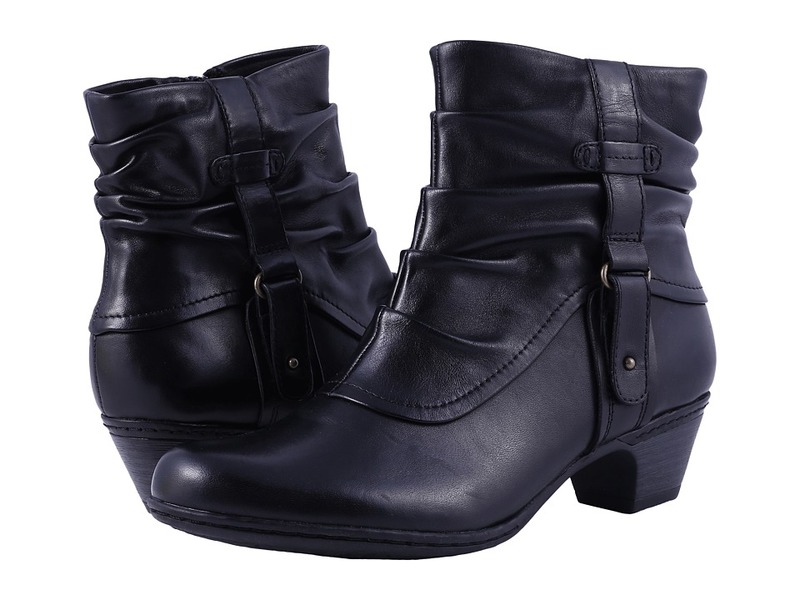 Full grain leather upper features stylish ribbon design. Slip-on design for easy on and off. Dri-Lex&amp#174 lining keeps feet feeling dry and breathable. Memory foam insole for all-day comfort and support. Generous cushioning in the midsole offers support and durability with a lighter weight than other foam footbeds. Durable rubber outsole. Imported. Measurements: Heel Height: 3 4 in Weight: 7 oz Product measurements were taken using size 9, width B - Medium. Please note that measurements may vary by size. Weight of footwear is based on a single item, not a pair. To the office and beyond, make sure you~ve got the look that~s perfect for everyday with the Rockport&amp#174 Essential Details Waterproof Dress Chukka. Premium leather upper with Hydro-Shield&amp#174 waterproofing substances tanned into the leather and special seam sealant to keep feet dry during wet conditions. Lace-up closure allows for an adjustable yet secure fit. Padded tongue and collar provide added cushioning for immediate comfort. Removable polyurethane footbed offers durable cushioning with patented active air circulating technology. Features sport technology in the heel for shock absorption. Polyurethane outsole offers lightweight and durable support. Imported. Measurements: Heel Height: 1 in Weight: 1 lb Platform Height: 1 2 in Product measurements were taken using size 10, width W (EE). Please note that measurements may vary by size. Weight of footwear is based on a single item, not a pair. 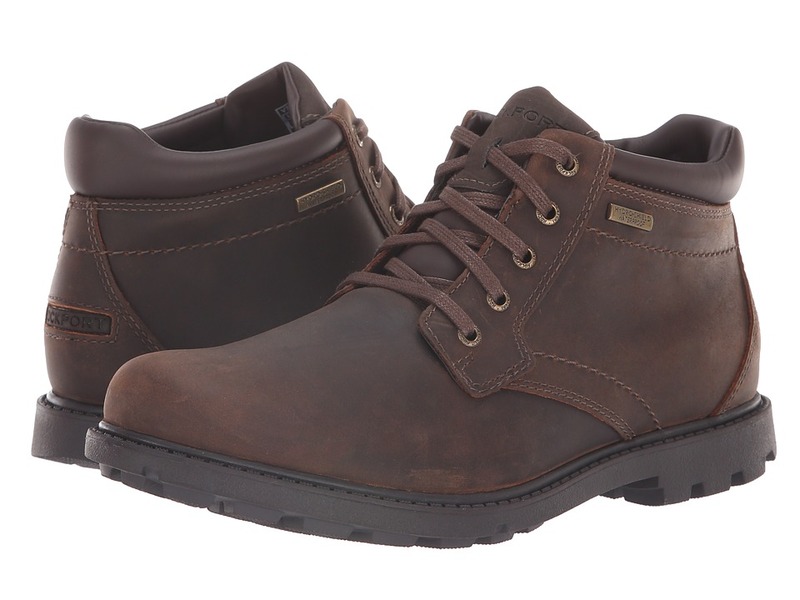 Make sure you~re ready to take on anything in the rugged charm of these Rockport&amp#174 boots. Waterproof leather upper in a classic silhouette. Hydro-Shield&amp#174 construction such as waterproof leather, sealed seams, a waterproof insole and a gusseted tongue provide a dry environment during wet conditions. Traditional lace-up closure allows for a secure and adjustable fit. Padded tongue and collar provide additional cushioning. Man-made lining and an EVA-covered footbed that is cushioned for all-day support. Features shock absorbing sport technology in the heel for added comfort and support. Durable rubber outsole. Imported. Measurements: Weight: 1 lb 5 oz Shaft: 4 in Product measurements were taken using size 12, width W (EE). Please note that measurements may vary by size. Weight of footwear is based on a single item, not a pair. 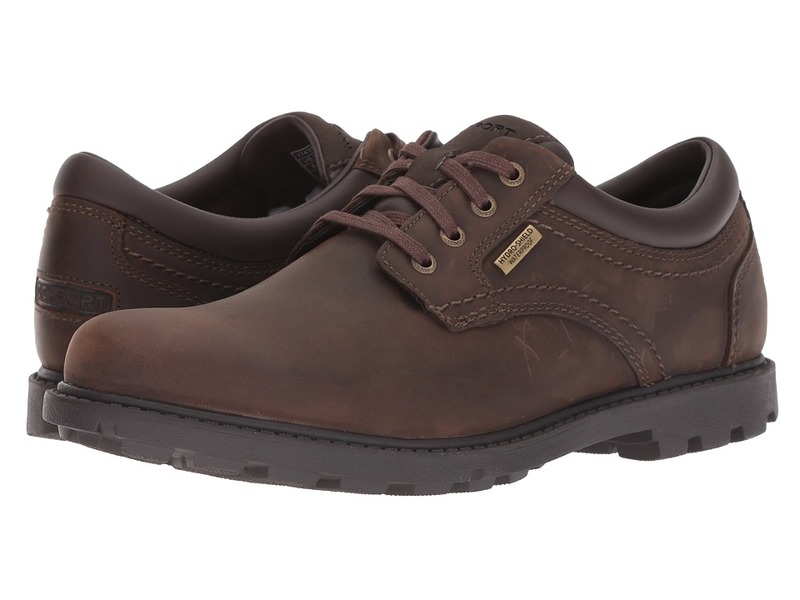 Stylish and ready for anything, these Rockport&amp#174 oxfords are sure to be your newest go-to look for everyday. Waterproof leather upper with bold stitching. Hydro-Shield&amp#174 construction such as waterproof leather, sealed seams, a waterproof insole and a gusseted tongue provide a dry environment during wet conditions. Traditional lace-up closure allows for a secure and adjustable fit. Padded tongue and collar provide additional cushioning. Quick-drying mesh lining and a polyurethane footbed that is cushioned for all-day support. Features shock absorbing sport technology in the heel for added support and comfort. Durable rubber outsole. Imported. Measurements: Weight: 1 lb 2 oz Product measurements were taken using size 11, width M (D). Please note that measurements may vary by size. Weight of footwear is based on a single item, not a pair. 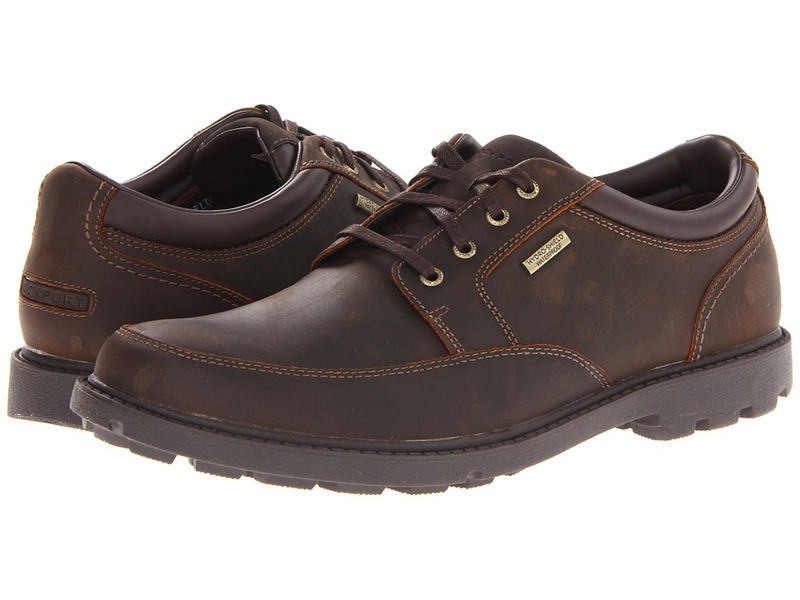 Dressed up or dressed down, you~ll surely make a serious statement when you step out in these Rockport&amp#174 oxfords. Waterproof leather upper with bold stitching. Hydro-Shield&amp#174 construction such as waterproof leather, sealed seams, a waterproof insole and a gusseted tongue provide a dry environment during wet conditions. Traditional lace-up closure allows for a secure and adjustable fit. Padded tongue and collar provide additional cushioning. Quick-drying mesh lining and a polyurethane footbed that is cushioned for all-day support. Features sport technology in the heel for shock absorption. Durable rubber outsole. Imported. Measurements: Heel Height: 1 in Weight: 1 lb 2 oz Product measurements were taken using size 12, width M (D). Please note that measurements may vary by size. Weight of footwear is based on a single item, not a pair. 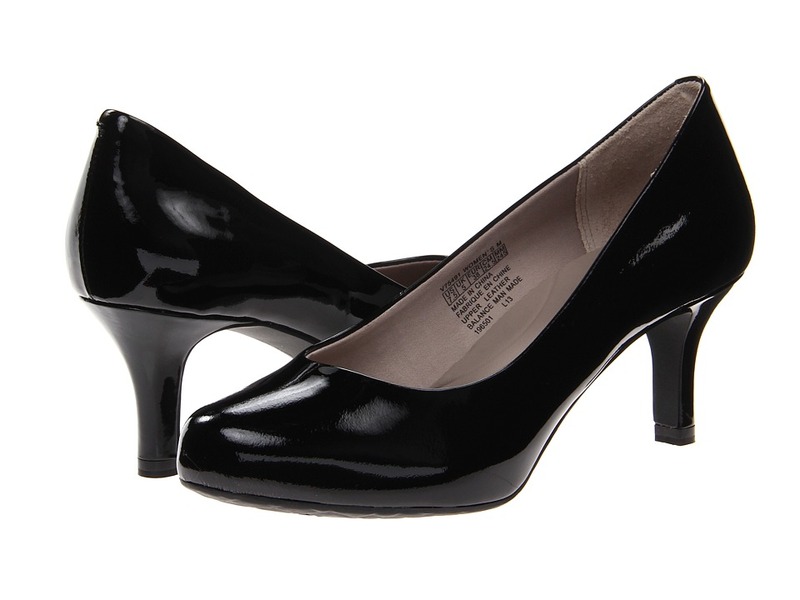 The Total Motion 75mm Plain Pump runs large, Rockport suggests ordering half size down from your regular size. 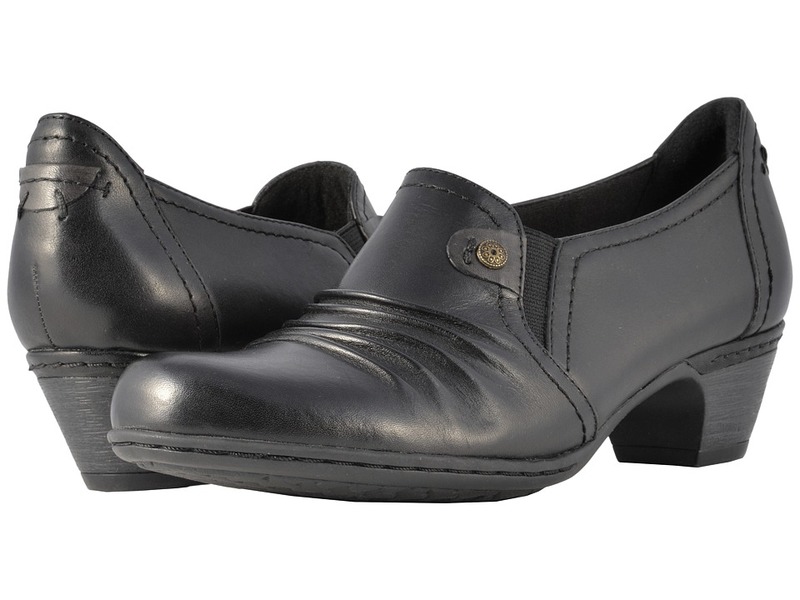 Chic and sophisticated, these Rockport&amp#174 heels are perfect for the office or weekend wear. Smooth leather upper in a classic pump silhouette. Slip-on design for quick and easy on and off. Breathable textile lining and a textile-covered insole that is cushioned for all-day comfort. Glove-like fit with no break-in period. Lightweight comfort system designed to provide shock absorption in the heel and rebound at the forefoot. Total Motion&amp#8482 construction with a thermal plastic urethane plate in the sole to create stability and disperse shock. Durable rubber outsole. Imported. Measurements: Heel Height: 3 in Weight: 9 oz Product measurements were taken using size 8, width W (C). Please note that measurements may vary by size. Weight of footwear is based on a single item, not a pair. 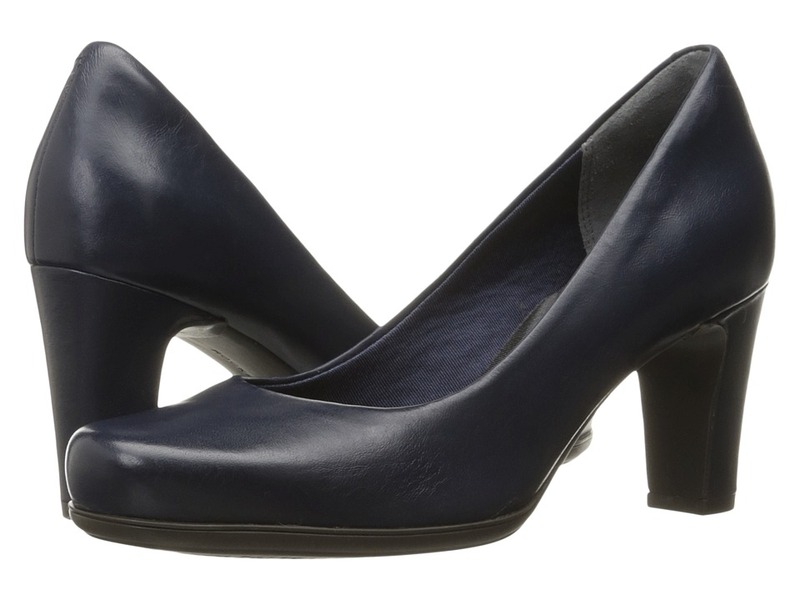 Add an exciting new look to your wardrobe with the Cobb Hill Aubrey heel. Premium leather upper features feminine strap design. A closed toe and adjustable buckle closure for easy on and off. Pigskin and textile lining keeps feet feeling soft and breathable. Contoured EVA foam footbed with added arch support for all-day comfort and support. A stability shank embedded into midsole offers added support and helps create a smoother gait. Thermoplastic rubber outsole provides added traction and stability for confident stride. Imported. Measurements: Heel Height: 1 1 2 in Weight: 8 oz Platform Height: 1 2 in Product measurements were taken using size 7.5, width B - Medium. Please note that measurements may vary by size. Weight of footwear is based on a single item, not a pair. 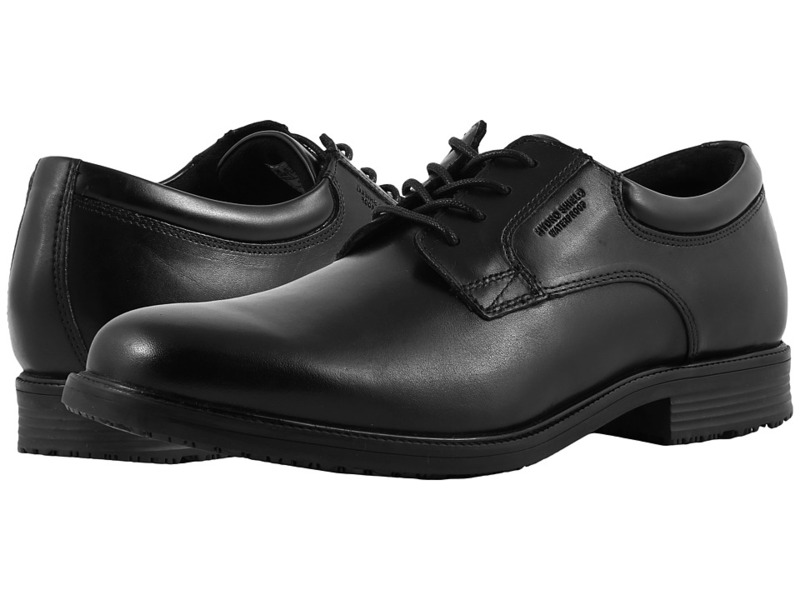 Add a classic touch to your look with this wonderful oxford style dress shoe by Rockport. Upper crafted with genuine leather. Leather is treated with Hydro-Shield waterproofing technology that also features a special seam-sealant that helps keep moisture out and feet dry. Traditional tie-up lacing for a personalized and secure fit. Soft textile linings. Padded footbed offers a more comfortable all-day wear. Features sport technology for all day comfort with shock absorption in the heel. Durable non-slip rubber outsole. Imported. Measurements: Heel Height: 1 in Weight: 15 oz Product measurements were taken using size 11, width M (D). Please note that measurements may vary by size. Weight of footwear is based on a single item, not a pair. 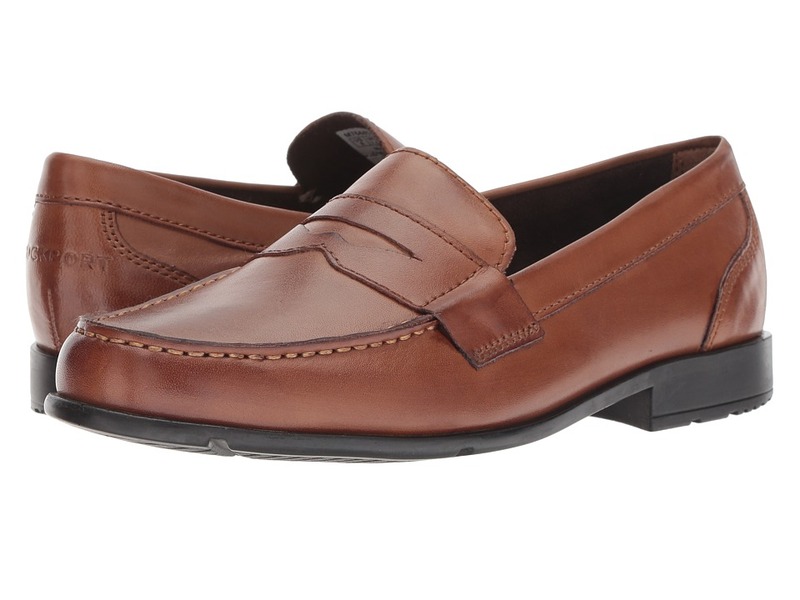 Polished and refined, the Classic Loafer Lite Penny by Rockport was designed with comfort and style for any occasion in mind. Upper made with smooth, easy to clean genuine leather. Boasts added cushioning designed to help shock absorption in the heel. Easy slip-on style dress loafer. Features a sponge EVA footbed designed to conform to the shape of the foot to help provide a personalized fit. Polyurethane outsole helps provide durable shock absorption to help reduce foot fatigue. Imported. Measurements: Heel Height: 1 in Weight: 12 oz Product measurements were taken using size 11, width M (D). Please note that measurements may vary by size. Weight of footwear is based on a single item, not a pair. 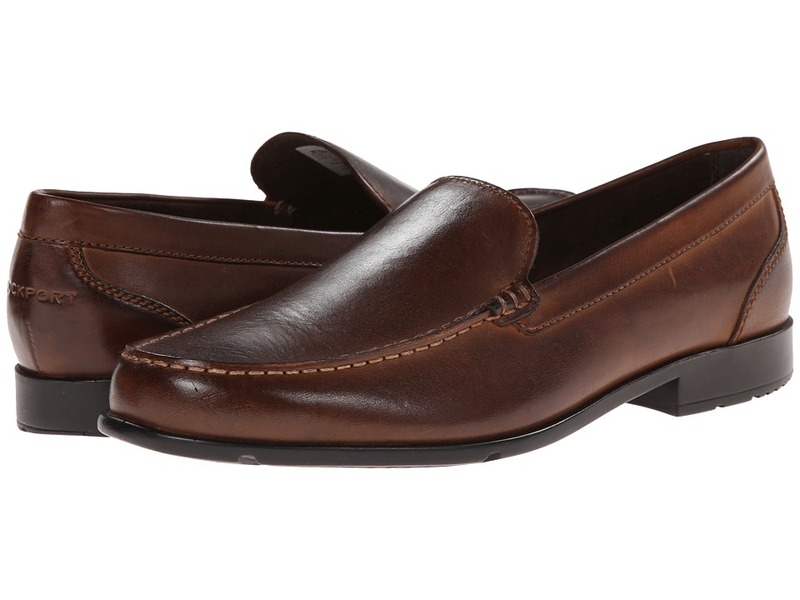 Polished and refined, the Classic Loafer Lite Venitian by Rockport was designed with comfort and style for any occasion in mind. 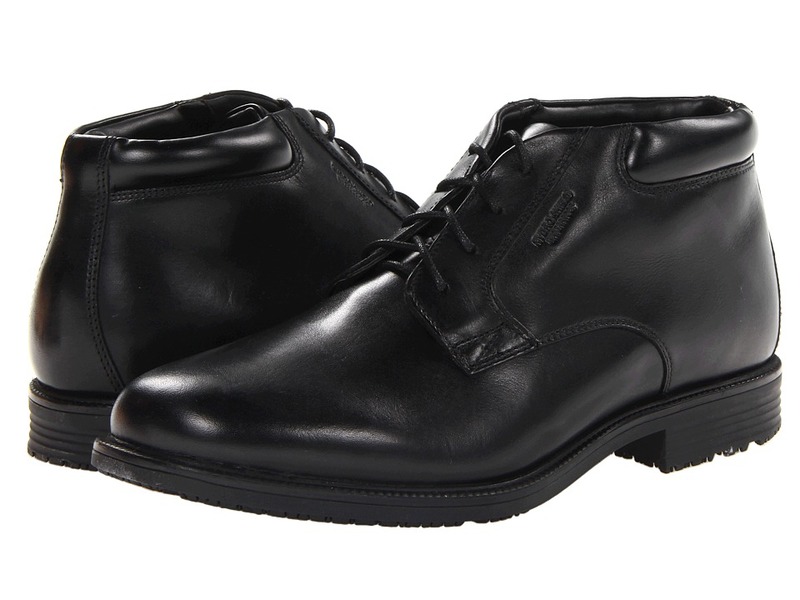 Upper made with smooth, easy to clean genuine leather. Offers added cushioning designed to help shock absorption in the heel. Easy slip-on style dress loafer. Features a sponge EVA footbed designed to conform to the shape of the foot to help provide a personalized fit. Polyurethane outsole helps provide durable shock absorption to help reduce foot fatigue. Imported. Measurements: Heel Height: 1 in Weight: 11 oz Product measurements were taken using size 10, width M (D). Please note that measurements may vary by size. Weight of footwear is based on a single item, not a pair. Designed with the modern business woman in mind, these chic professional pumps will easily take you from work day to date night. Genuine leather upper in a classic pump silhouette. Slip-on design for quick and convenient on and off. Man-made lining and a man-made footbed that is cushioned to offer all-day comfort and support. Lightweight comfort system designed to provide shock absorption in the heel and rebound at the forefoot. Durable rubber outsole. Imported. Measurements: Heel Height: 1 3 4 in Weight: 8 oz Product measurements were taken using size 7.5, width W (C). Please note that measurements may vary by size. Weight of footwear is based on a single item, not a pair. 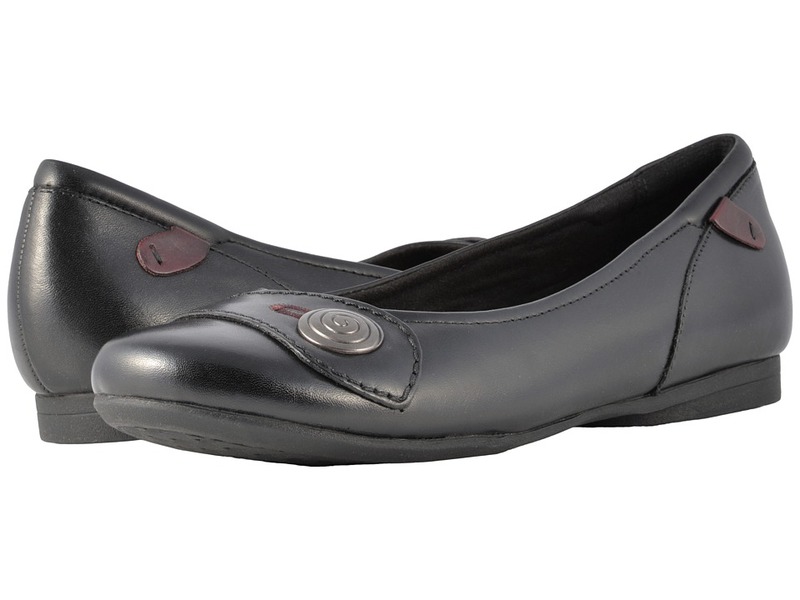 Your life will be rich with style with the gorgeous Cobb Hill Pearl by Rockport. Laser-cut full grain leather upper with button detail. Adjustable hook-and-loop closure. Soft pigskin and textile lining. Lightweight, EVA cushioned footbed. Stability shank embedded into the midsole for added support. Lightweight EVA outsole with TR forefoot pods. Imported. Measurements: Heel Height: 1 in Weight: 7 oz Product measurements were taken using size 8, width B - Medium. Please note that measurements may vary by size. Weight of footwear is based on a single item, not a pair. 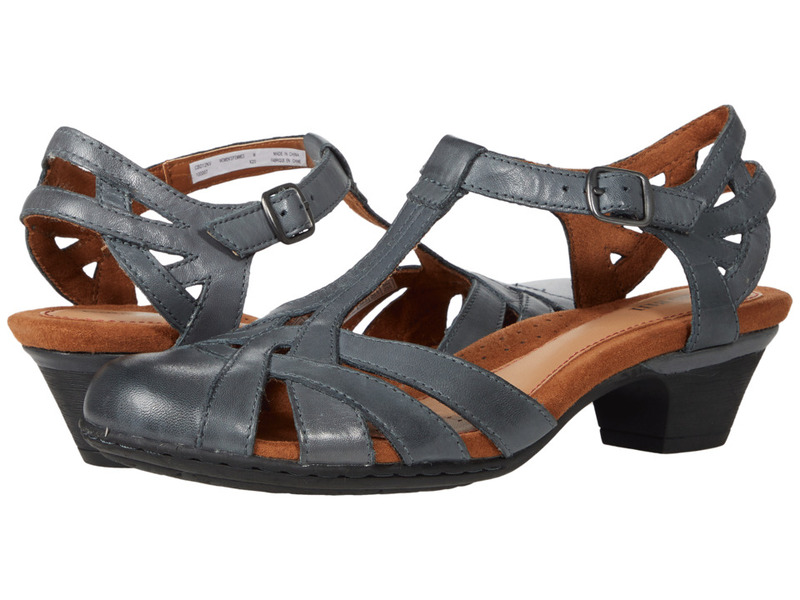 Adorable and versatile, the Cobb Hill Emma can dress you up or help keep things cool and casual. Full grain leather upper features a decorative strap and button at vamp. Slip-on design makes on and off a breeze. Breathable textile lining. Plush EVA-cushioned footbed. Stability shank embedded into midsole supports the arch and helps create a smoother gait. Durable rubber outsole. Imported. Measurements: Heel Height: 3 4 in Weight: 8 oz Product measurements were taken using size 8, width B - Medium. Please note that measurements may vary by size. Weight of footwear is based on a single item, not a pair. 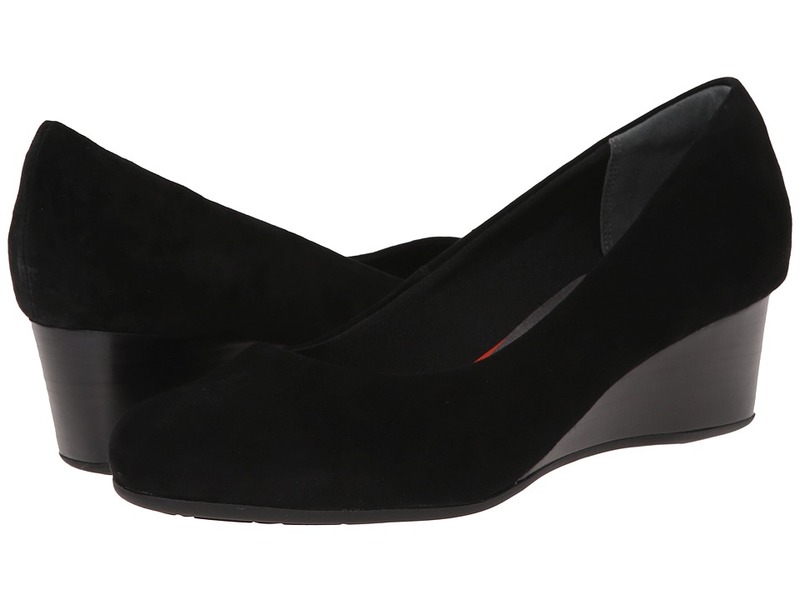 Get ready to fall head over heels and adore the Adele. Premium full grain leather upper in a contemporary silhouette. Slip-on design with dual gore panels that makes on and off a breeze. Textile lining keeps feet feeling breathable. 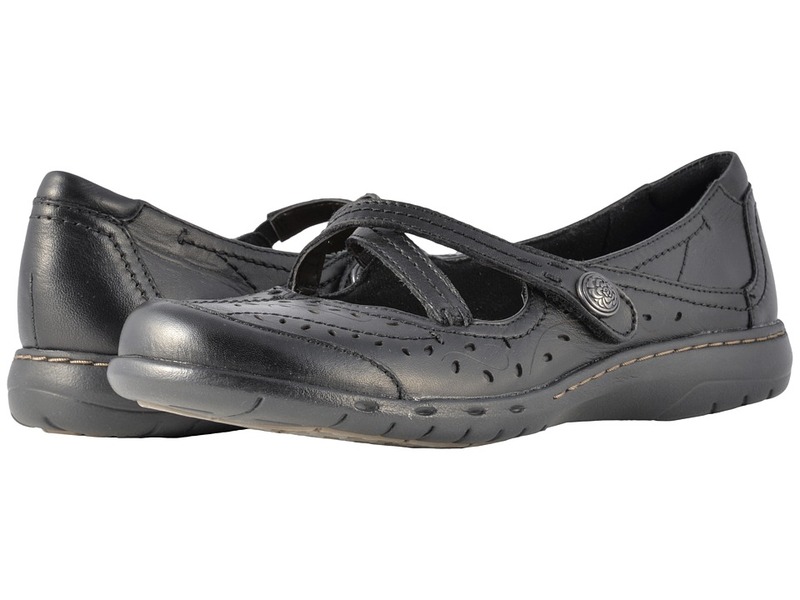 Features a padded footbed that provides seamless arch-support and cushioning. Stability shank embedded into midsole supports the arch and helps create a smoother gait. Durable rubber outsole. Imported. Measurements: Heel Height: 1 3 4 in Weight: 9 oz Product measurements were taken using size 8, width B - Medium. Please note that measurements may vary by size. Weight of footwear is based on a single item, not a pair. 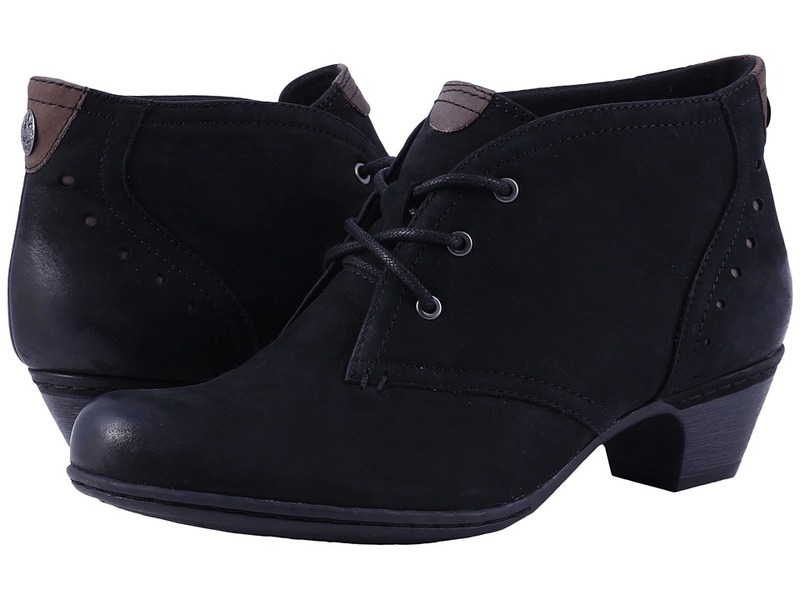 Keep your cute ankles warm too this winter with the Cobb Hill Aria. Full grain leather upper. Traditional three-eyelet lacing for a secure fit. Soft textile lining keeps feet soft and breathable. EVA foam footbed for all-day comfort and support. Shock-absorbing, lightweight polyurethane outsole provides stability to maintain your confident stride. Imported. Measurements: Heel Height: 1 1 2 in Weight: 11 oz Shaft: 4 in Product measurements were taken using size 9, width B - Medium. Please note that measurements may vary by size. Weight of footwear is based on a single item, not a pair. 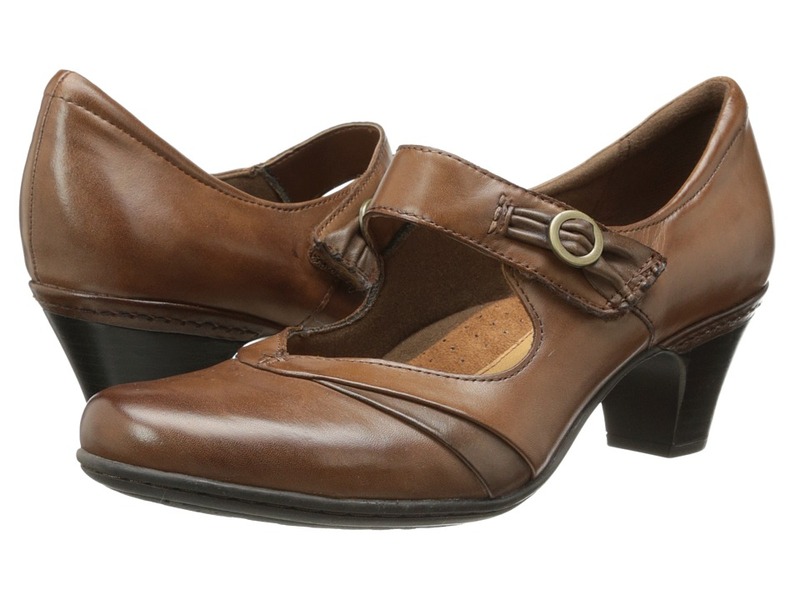 In the office or being wined and dined, the Cobb Hill Salma from Rockport will be your heel of choice! Full grain leather upper. Adjustable hook-and-loop closure for easy on and off. Leather and textile lining creates great in-shoe feel. Removable EVA footbed for all-day comfort. Stability shank embedded into midsole supports the arch and helps create a smoother gait. TR outsole provides fantastic traction control. Imported. Measurements: Heel Height: 2 1 4 in Weight: 11 oz Product measurements were taken using size 8, width B - Medium. Please note that measurements may vary by size. Weight of footwear is based on a single item, not a pair.